When you find the courage to change at mid-life, Dr. Arrien teaches, a miracle happens. Your character is opened, deepened, strengthened, softened. You return to your soul's highest values. You are now prepared to create your legacy for our world. 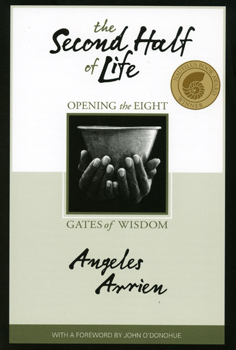 Working with images, poetry, metaphors and other forms of symbolic language from diverse world cultures, Arrien introduces the Eight Gates of Initiation. By mastering their lessons and gifts, you will harvest the meaning and purpose of your life and come into spiritual maturity.